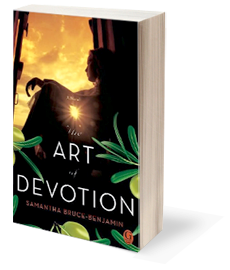 Author of "The Art of Devotion"
Samantha Bruce-Benjamin is the author of The Art of Devotion, an Examiner and Bookreporter Best Book of 2010, and The Westhampton Leisure Hour and Supper Club. Born and raised in Edinburgh, Scotland, she holds a Master of Arts with Honors and a PhD in English Literature and Creative Writing from The University of Edinburgh. A former Random House and BBC literary editor, she divides her time between New York and Edinburgh. 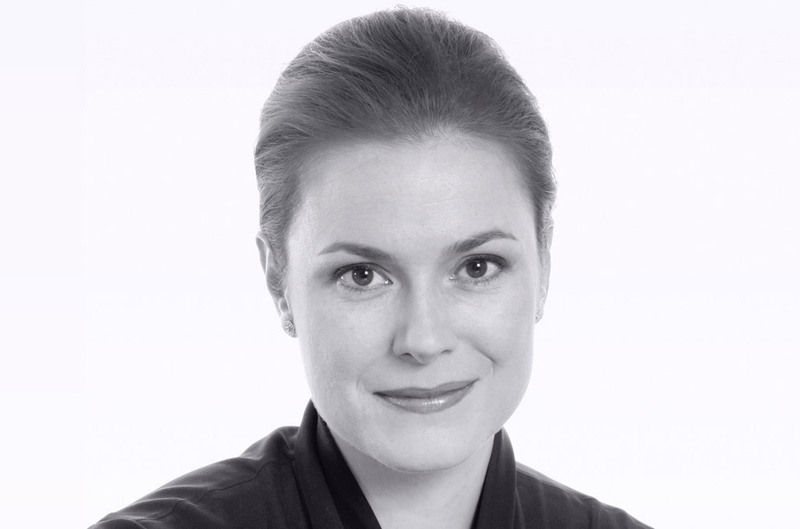 Literary agent: Christy Fletcher, Fletcher and Co., NY, 78 5th Ave #3, New York, NY 10011 - (212) 614-0778. In the tradition of bestselling authors Ian McEwan and Anne Enright, Samantha Bruce-Benjamin’s brilliant and timeless debut unveils the dark side of human nature as four women share the poignant tale of love, obsession, and ultimate betrayal that binds them forever. Have we all not wished to keep forever the one person we love the most? The secluded beaches of a sun-drenched Mediterranean island are the perfect playground for young Sebastian and Adora. Emotionally adrift from their mother, Adora shelters her sensitive older brother from the cruelties of the world. Sophie does not question her children’s intense need for one another until it’s too late. Her beloved son’s affections belong to Adora, and when he drowns in the sea, she has no one else to blame. Still heartbroken years later, Adora fills her emptiness with Genevieve, the precocious young daughter of her husband’s business associate and his jealous wife, Miranda. Thrilled to be invited into the beautiful and enigmatic Adora’s world, the child idolizes her during their summers together. Yet, as the years progress, Genevieve begins to suspect their charmed existence is nothing more than a carefully crafted illusion. Soon, she too is ensnared in a web of lies. Stunningly told in the tragic voices of four women whose lives are fatefully entangled, The Art of Devotion is evocative and haunting, a story of deceit, jealousy, and the heartbreaking reality of love’s true power. 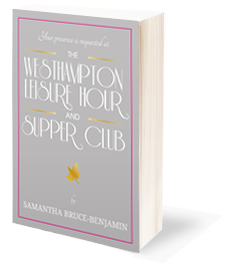 In the tradition of The Great Gatsby and Mrs Dalloway, Samantha Bruce-Benjamin delivers a haunting and evocative insight into five minutes in the life of a celebrated Hamptons society hostess, set against the backdrop of The Great Hurricane of 1938. What have been the five best moments of your life? September 21st 1938, and at Serena Lyons’ exquisite Hamptons estate, the footmen are serving vintage champagne, the orchestra is playing a favorite tune, and the house is lit so brightly it could almost be mistaken for a star in the distance. The occasion is the last party of the season at The Westhampton Leisure Hour and Supper Club and anybody who is anybody has turned out in force. All except for one. As her guests arrive, Serena watches from her bedroom window, searching for a face in the crowd: The Summer Visitor she has never forgotten. For thirty years she has waited for him at the start of every party. But on this last evening, the ritual assumes a greater significance. On a road nearby, Kit Peel, is at last returning to her, bringing with him the answers to the unresolved mystery of his disappearance at the age of twenty-one, and the truth behind the secrets that will finally set her free. If only he can get to her in time; if only Serena’s estranged husband, Captain Lyons, will allow him close enough. As The Great Hurricane of 1938 moves over Long Island, finally reaching the fabled Hamptons, the place and its people are irrevocably changed. Over the course of five minutes, as Serena relives the defining moments of her life, we learn of the tragedies that left their indelible mark, the promises that were made and broken, and the decisions that brought them all there that evening, their destinies forever intertwined and sealed. Based on historical research about the Hamptons at the peak of its grandeur, the devastation that the 1938 hurricane wrought, and a real supper club called The Leisure Hour and Supper Club, Bruce-Benjamin spins a story that will remind readers of Rebecca or, more recently, Rules of Civility.